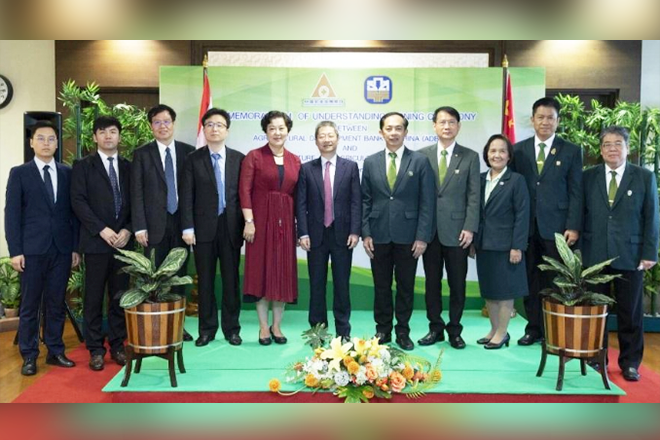 October 12th, 2018: Agricultural Development Bank of China (ADBC) and Bank for Agriculture and Agricultural Cooperatives (BAAC), Thailand joined hands in exchanging experiences in the areas of agriculture, microfinance, and Agricultural MSME as well as Human Resources Development and trade finance. Since BAAC hosted 2nd World Congress on Agricultural and Rural Finance in the year 2007, there was MOU between ADBC and BAAC focused on collaboration in various fields such as development and enhancement of Institutional Efficiency and Human Resources Development, use of Information and Communication Technology (ICT) exchange of information and expertise in the context of small and medium business development. The results of collaboration have been progressed successfully. ADBC and BAAC exchanged their staff members and cross learning experiences on business matching and SME development. 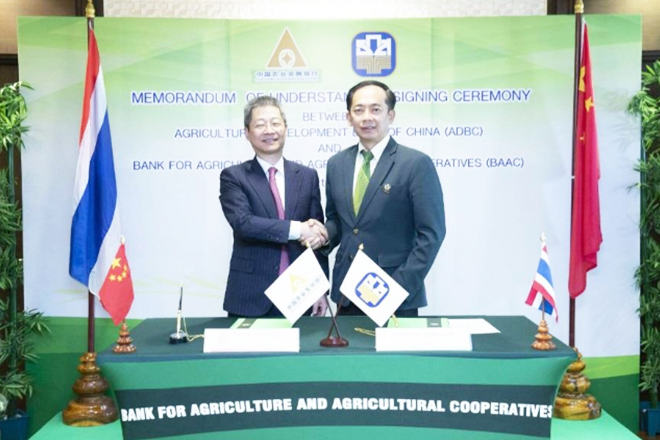 This year ADBC and BAAC agreed on expanding collaboration not only knowledge sharing and Human Resource Development but also on international business and trade finance which are aimed at supporting import and export of agricultural commodities and agricultural value added products in order to uplift quality of life for both Chinese and Thai Farmers.